I HAVE some advice for all those rabid supporters of an Australian republic. The most productive thing you can do when the Duke and Duchess of Cambridge visit Australia in April is simple: take off your grumpy pants and get on board. Get excited, engage in those workplace water-cooler discussions about where the royal duo might visit, perhaps even buy one of those glossy magazines with a cut-out itinerary. Because whether you like it or not, ”Kate and Wills” are popular. And rolling your eyes when somebody expresses excitement about the royal visit isn’t going to change that. Quite the opposite, it’s likely to switch people off to your arguments. Being snarky is rarely an effective tool of persuasion. Instead, Australian republicans (and I’m one of them) need to send the message that it’s OK to like the royals and not want them as our head of state. Having an opinion on Brad and Angelina’s growing brood or keeping up with the Kardashians isn’t incompatible with wanting a republic, so why should royal-watching be? 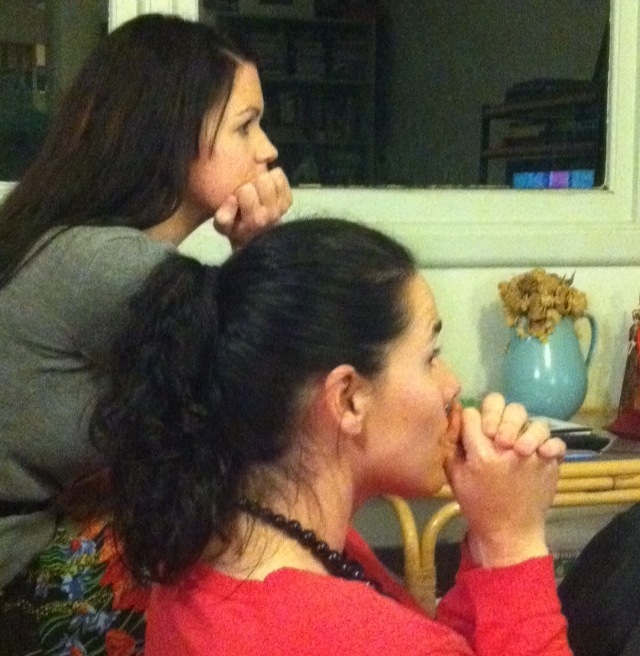 My Republican wife and sister-in-law were glued to TV coverage of the 2011 royal wedding. After the failure of the 1999 republic referendum the (then) High Court Judge Michael Kirby delivered a speech in London on the ”10 lessons” Australians should take from the experience. They’re worth revisiting. Kirby said labelling opponents of the referendum proposal ”un-Australian” was ”a sure way to alienate them”. He noted how the Queen’s ”admirable personal qualities continue to attract a vital cohort of support to the negative case” (an argument which now applies equally to Kate and William). Kirby also chastised the media for having ”showed the Queen and her supporters in a bad light”. The lesson is clear, Australians who dream of a republic need to stop denigrating those with an affection for the royal family. It’s counterproductive and, what’s more, the royals aren’t going anywhere. If an Australian admires the Queen’s grace, stoicism or colourful array of hats, they’ll continue to do so under a republic. And a directly elected Australian prime minister would be powerless to quell demand for pictures of young Prince George or his party-boy uncle. The same could be said of attempts to shame Australians into disliking the royal family. It just won’t work. Australian republicans need to accept that Kate, Will, Chuck, Harry and Lizzie do belong in our magazines and gossip sites, and refocus their arguments to why they don’t belong in our constitution. This review of Jonathan Green’s The Year My Politics Broke (Melbourne University Publishing) first appeared in The Voice. As a detailed account of how politicians and politicking has veered off course in Australia over recent years The Year My Politics Broke isn’t an enjoyable read. But then, it isn’t meant to be: the book is designed as uncomfortable reading. That veteran journalist Jonathan Green has managed to make it engaging at all is a real triumph. Early on in the book Green – the presenter of Radio National’s Sunday Extra and former editor of the ABC’s analysis website The Drum – states it is neither a diary nor campaign notebook, but instead “a running reflection of the current state of our politics”. True to his word, Green does not provide a blow-by-blow account of contemporary Labor rule, nor does the book read as yet another critique of Tony Abbott’s ‘just say no’ approach to Opposition. Instead, the book tackles issues thematically. But the overarching (and most distressing) argument contained in The Year My Politics Broke is that our whole political system is now incapable of constructive action or compromise on the big issues. “The assumption we make from the outside is that the political system will make a genuine attempt to reach some sort of resolution, to come up with ideas and policy settings that might advance these various courses,” writes Green. And all this at a time when the nation’s policy challenges – like climate change, tax reform or the treatment of asylum seekers – are only becoming more thorny. “The challenges facing us today are so multi-dimensional and complex,” former Victorian Governor Alex Chernov told Voice in June. You’d curl up in a ball if it wasn’t all so important. The only problem with The Year My Politics Broke is that it sometimes felt overly familiar. Green has a beautiful and unique writing style, but I would often read a passage with a distinct sense that I’d read it before (perhaps months ago on The Drum?). It must be hard to write over a prolonged period of time and then produce a wholly original retrospective on the same topic (especially when you have a unique writing style). Green’s efforts are admirable. That being said, perhaps the only way to truly do justice to the Rudd—Gillard—Are-We-There-Yet?—Rudd-Again years is to instil in the reader a sense of déjà vu. The Year My Politics Broke certainly did that. Bravo. May 12th – 19th, 2013. Welcome to an alternate universe where doorstops keep doors from slamming, nothing more. Our elected representatives and those in their orbit have taken to Facebook to exchange ideas, debate policy and lob grenades. Folks, would you like more of this kind of thing between now and September 14th? Do me a favour? Ignore Alan Jones. The radio veteran’s most recent comments suggesting Julia Gillard’s father died of “shame” because of her daughter’s “lies” are foul and reprehensible. The condemnation has been swift and comprehensive, although some are still waiting for Tony Abbott to also voice his personal disgust. Alan Jones will in time apologise, if only because of pressure from his sponsors and his employer. But it won’t be real contrition. Chances are he will go back to his radio show. Just like just after he called for Ms Gillard to be downed in a chaff bag. He went on to point out that Jones has a “relatively demographically limited, mainly Sydney based audience”. The suggestion is that Jones’ “influence” is a cultivated myth, fueled by the propensity of other members of the media hanging off every word he mutters. 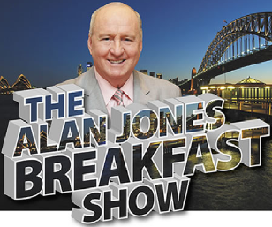 So why don’t we treat Alan Jones like the troll he is? We – journalists and politicians – need to ignore them. We need to ignore him. It seems Alan Jones’ “power” comes from his perceived influence. After all, that’s what his employer and his sponsors are buying. If Jones is deprived of this clout he will enter into the realm of irrelevancy where he belongs. But that is a matter for us. 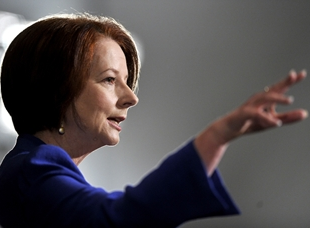 PM Julia Gillard’s unspoken ACL speech. Julia Gillard: The great explainer. Prime Minister Julia Gillard has been widely applauded for cancelling an appearance at an Australian Christian Lobby event because its leader controversially claimed a homosexual ”lifestyle” was more dangerous than smoking. But I think this is a missed opportunity. Instead of playing it safe, Ms Gillard could have attended the function and used it to explain why she didn’t agree with the remarks. Everyone has their own view of what constitutes a family. It doesn’t have to be a man and woman with two-point-four kids. Tim and I are no less a family than anybody else because we don’t have children. And the Finance Minister Penny Wong, her partner Sophie and their beautiful daughter Alexandra are no less a family because of their choices. Like love, families and family values are very hard to define — but you know them when you see them. Coincidence? Perhaps not. Yesterday, I stood before the national media and condemned some remarks made by the leader of your organisation, Jim Wallace. Jim is a man I respect, but we don’t agree on everything. He had compared the ill effects of passive smoking on children to the perceived impacts on a child of being raised by a gay couple. I think this is a grossly offensive comparison. To compare the health effects of smoking cigarettes with the many struggles gay and lesbian Australians endure in contemporary society is heartless and wrong. We live in a world where many people — men and women — make the brave decision to be single parents. We live in a world where divorce is common. And sadly, we live in a world where children are sometimes abused in their family homes. If new born babies could choose their parents, they would want somebody who is loving and protective. Somebody who will always have their best interests at heart. Sexual preference wouldn’t come into it. This is not to say that I have changed my position on gay marriage. I still believe the institution of marriage is a solemn union between a man and a woman. But I don’t believe that men and men or women and women, brought together by love and willing to embark on the great journey or parenthood should be considered ‘lesser parents’. Crimes in the home, lessons in the newsroom? This article and image first appeared on the ABC’s The Drum. Many Victorians were surprised when that state’s latest crime statistics showed a dramatic, 15 per cent increase in domestic violence. Many journalists were not. And the media must shoulder some of the blame for that disconnect. The police offer a shopping list of incidents: a car crash here, a petrol station hold-up there and some booze bus results for good measure. The reporter will often ask about some activity they’ve noticed on the police scanner, or heard about elsewhere, and the reply will come: “Oh, that’s just a domestic”. Somehow, because those magic words have been uttered, we journalists hesitate. Much like the reporting of suicides, the rough rule is not to report “a domestic” unless it was somehow exceptional – like the case of James Ramage. Ramage was released from jail last month, after serving time for strangling his wife and then claiming self-defence because she “provoked” him. The defence was used successfully and Ramage was convicted of manslaughter, not murder. The defence of provocation has since been abolished. Alternatively, instances of domestic violence must have broader effects (a stand-off forcing the closure of a busy road) or involve somebody prominent enough to make their behaviour a matter of public interest (say, if a prominent anti-violence campaigner was charged for hitting his wife). But most times incidents don’t meet these criteria and, regardless, the reporter finds it difficult to verify the behind-closed-door details. The net result is they don’t get reported. The same applies for reporters sitting in court listening to cases of domestic violence while they wait for a more ‘news-friendly’ matter to be called. It should be noted the media does write many exceptional stories exposing the scourge of abuse within families and the fight against it. ABC senior reporter Kerri Ritchie’s story on 7:30 this week about the B-Safe program is a case in point. But it’s almost undeniable that the media’s coverage of domestic violence is biased. We are much more likely to report a drunken punch in a Melbourne laneway than a drunken punch in a suburban kitchen. It’s sometimes argued a ‘Mean World Syndrome’ is at play in Australia, because of our nation’s obsession with violent crime. The theory is that the reporting of these crimes is disproportionate to the reality, and creates the impression the world is more dangerous than it truly is. “People are seen to overestimate the prevalence of crime in the community… perceiving increases in crime that are not supported by official statistics,” is how a Victorian Parliamentary Inquiry described the phenomenon last year. Melbourne’s tabloid newspaper the Herald Sun even has a “Streets of Fear” logo for its stories on public assaults. The media’s reporting of domestic violence seems to be going in the other direction. Through underreporting we appear to be creating a ‘Safe Home Syndrome’, and inadvertently telling the community that domestic violence isn’t so prevalent. This would explain why so many Victorians were surprised by the latest crime statistics. Perhaps we in the media owe it to everybody to turn that around. I have a breaking news story. Make sure you’re sitting down. 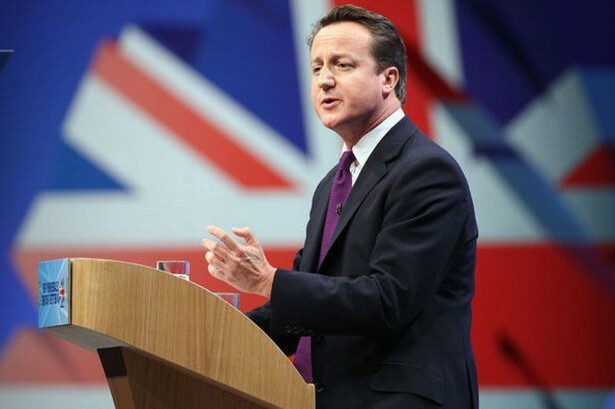 Here it is: governments spin, twist and contort events to suit their party political ends. OK, so it mightn’t be a huge revelation. But what’s interesting is that a senior Labor spin doctor has been forced, under oath, to confirm this is how their murky profession works. The accidental release of a Victorian government ministerial ‘media plan’ in February caused huge embarrassment for the state’s Labor administration. Many have since tried, and failed, to access other ‘media plans’, under the state’s freedom of information (FOI) legislation. The State Government claims the media plans are “political” and unrelated to policy or governance, and therefore shouldn’t have to be released. But Victoria’s FOI laws have a presumption of release. This means the Government must prove the documents’ political nature, for them to be kept secret. 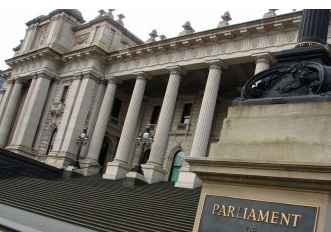 “They are entirely political,” senior Victorian government media adviser Alison Crosweller told the state’s Civil and Administrative Tribunal this morning. Normally governments spend huge amounts of time and energy arguing that their actions aren’t politically motivated, but driven by the desire for good policy. It must have felt strange then for Ms Crosweller, a very experienced operative who worked for federal Labor during the Howard government, to now be arguing the opposite. Ms Crosweller was asked to explain how events listed in the leaked February document – such as the Planning Minister’s attendance at the launch of a street revitalisation project – could be deemed “political”. “The fact that they are going to do it on a Sunday, the use of the Minister’s time is only best served if there is a political element to it,” she said. 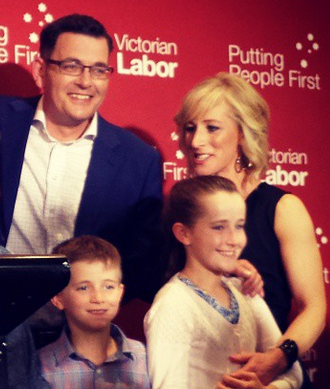 “So it is in Frankston, which is a marginal seat. Alistair Harkness is a marginal MP … so by getting the Minister down to Frankston … serves a political purpose. So when you next glimpse a politician or political candidate smiling in the TV news, chances are they’re only acting for political purposes. And when you hear a minister angrily denying something is being launched in a marginal electorate for political purposes, don’t believe them. Ms Crosweller made the point even more succinctly in her written statement to the tribunal. 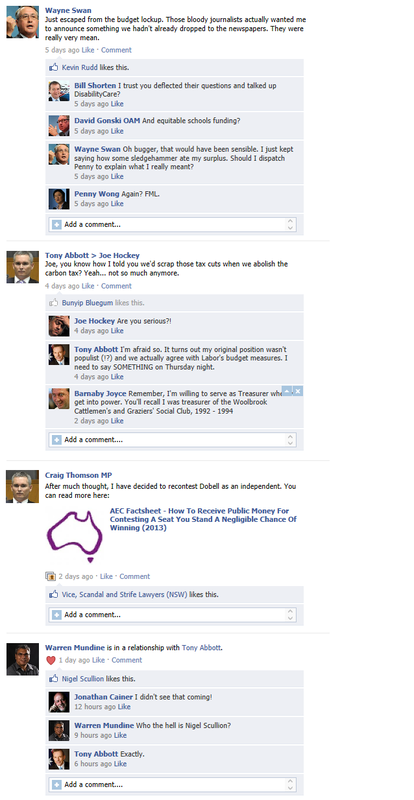 And let’s not forget these media advisers are funded by the taxpayers, not the ALP. The State Opposition’s scrutiny of government spokesman, David Davis, thinks Ms Crosweller’s evidence is extraordinary. “The Government’s actions are simply driven by re-election,” he said. But the sad facts are these: every government uses spin, and every minister is motivated by politics. The Victorian Government has just been kind enough to admit it.